It's Saturday morning and D and I are doing something we always said we would never do: piling kids into cars and heading off in different directions for activities. Fire has a soccer game and Sky and Water have gymnastics. Luckily, their activity schedules only overlap like this for two weeks but it's still hard on our family to have these time constrictions. One of the (many) reasons we decided to move back to the US was to give the kids access to a greater range of activities, to let them explore more of the things that interest them. Sky loves art, dance, and gymnastics, and Fire wanted to try karate and soccer. We want them to find what makes them happy and to have the American Life that we moved here for. That being said, I knew that even though I was going to be a stay-at-home mom, I definitely didn't want to be spending all afternoon and evening every day in the car driving kids to and from things. Our kids need time to just be kids, to be a little bored without a constantly being involved in a structured activity and I don't need the stress of managing that many busy schedules. After talking to other moms and reading several books (including Hot House Kids and Bringing Up Bebe) we decided to find a middle ground. We would let each kid choose up to two activities at a time, as long as they didn't conflict with dinner together as a family. We would try to guide the kids to choose one "brain" activity and one "body" activity- Sky, for example, does lego club after school one day a week and gymnastics once a week. If we felt that one activity was taking over too much of the family's time together, then we would consider decreasing the child's participation in it or removing it entirely, unless we all decided it was worth the sacrifice to pursue. We know we're putting a lot of thought into something that probably doesn't need it just yet, since Sky and Fire are only six and four respectively, but they won't be little forever and some time soon, Water and Earth are going to want to do activities as well. We wanted to have a framework for making decisions about this set up before it turns into something stressful and we end up over stretched. 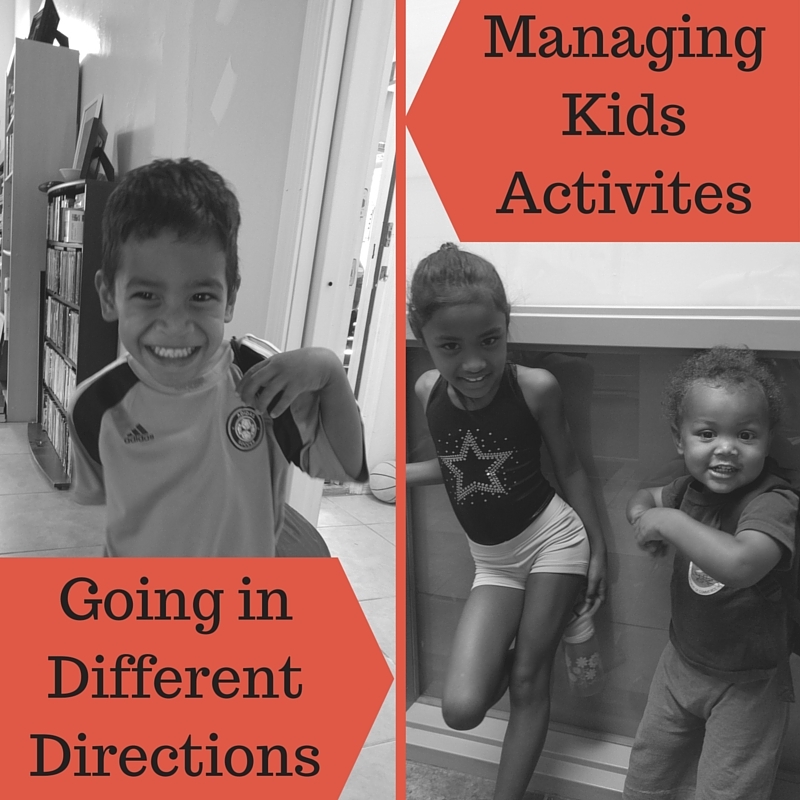 How do you handle activities in your family?